When Maureen's birthday came up last week, she remember seeing a soccer ball cake on my Facebook back in April. 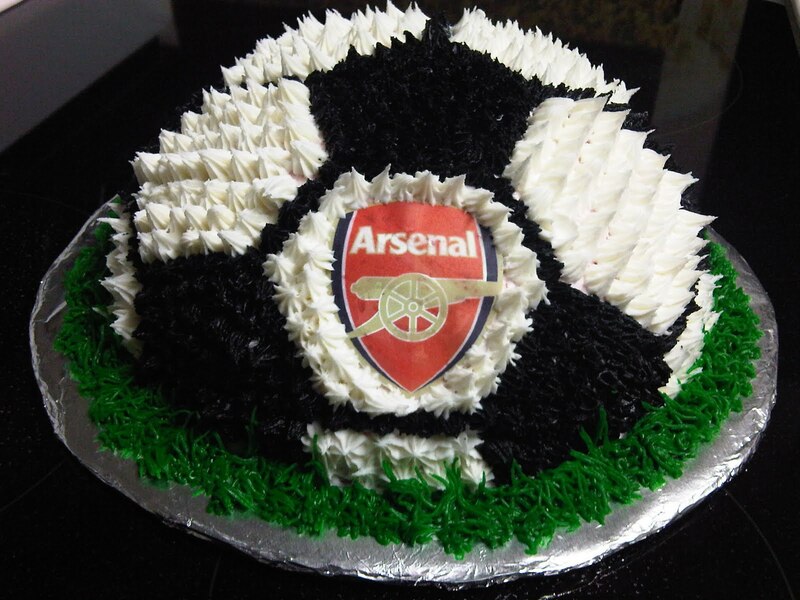 Being a HUGE fan of soccer and of the English team Arsenal F.C., she knew she wanted this special cake to help her celebrate her birthday. Because this was my second time creating this cake, I was very excited to take what I learned last time and applied to this experience. 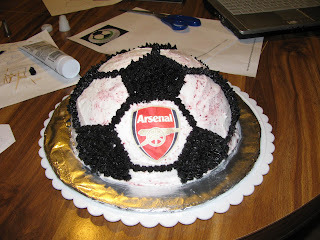 I made this soccer ball cake larger and the black and white spots smaller to emphasize the soccer ball appearance. 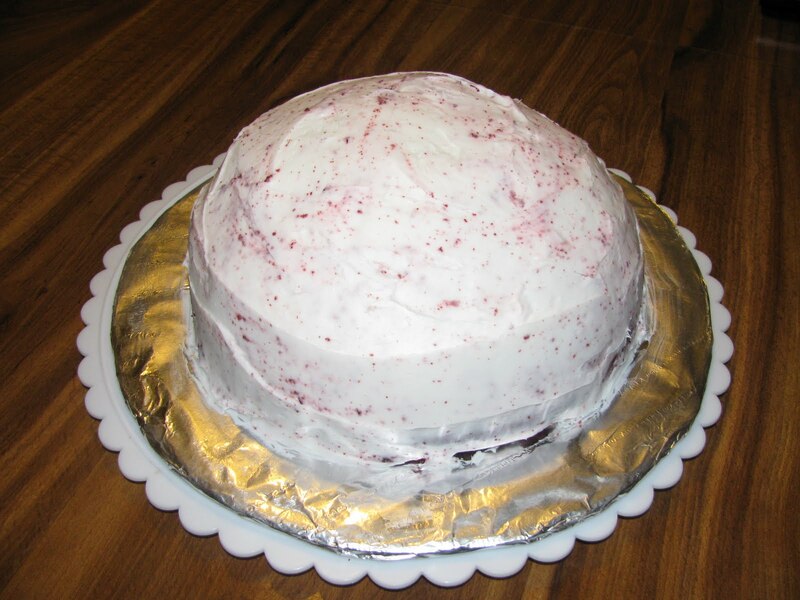 Maureen said her favorite cake is red velvet so I created a red velvet hemisphere with a whipped buttercream crumb coat. Once the crumb coat was done, I did a lot pattern tracing, measuring, added the Arsenal emblem, and piped blacks of the soccer ball. After giving my right hand a rest (piping medium to stiff buttercream frosting is tough on the hands! ), I finished the rest of the soccer ball and gave it a final touch with the green grass. I also included a simple "Happy Birthday Maureen" banner for the cake! I was very happy with how it turned out and I think Maureen was too! Happy birthday, again!!! I hope you had a fabulous celebration with family and friends! This is great! Where did you get the Arsenal logo? Is it edible? Id love the feedback. 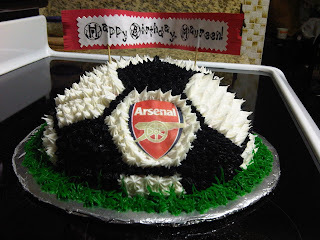 I'm making a similar cake for my husbands birthday.